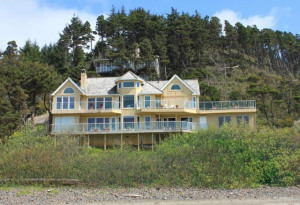 Nestled in along the water with a ridge of evergreens shading it, Oceanside, Oregon is one of the most scenic of all areas in the region. It’s just to the north of Netarts in Tillamook County. Oceanside is also home to Symons State Park and is next to Three Arch Rocks National Wildlife Refuge. The architecture is much like a charming European village, but this modern, vibrant city offers much more. While the beach is one of the most prominent of the features here, there are numerous neighborhoods located within the city that create the idealistic place to raise a family. A strong economy, somewhat based on tourism, is present here. Oceanside’s three arch rocks draw in many people, along with its clean, natural beaches. This area offers a wide range of homes for sale. 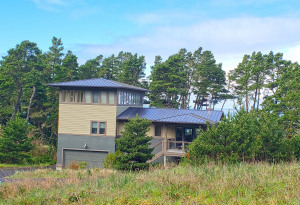 Oceanside real estate is dynamic offering everything from oceanfront cabins to spacious single-family homes. Many of the homes here sit on a hillside, overlooking the water or the ridge line. With Route 131 being located here, it’s easy enough to get into and out of the city to commute. 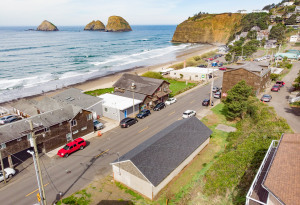 With a wide range of price points and many styles of homes to choose from, Oceanside, Oregon can be the ideal place to call home. Nestled in along the water with a ridge of evergreens shading it, Oceanside, Oregon is one of the most scenic of all areas in the region.